I have fond childhood memories of family outings to a local buffet restaurant in my hometown. You know, the one with the all-you-can-eat popcorn shrimp and 10 different kinds of salad dressing. The best part was that incredibly awesome ice cream sundae and dessert buffet. It was a dream for a ten-year-old kid like me with a healthy appetite and the ultimate sweet tooth. A wave of nostalgia for that dessert buffet came over me on a recent summer trip to the east coast. We hosted a family BBQ and beach day at our cottage rental and decided to keep things simple on the dessert front. 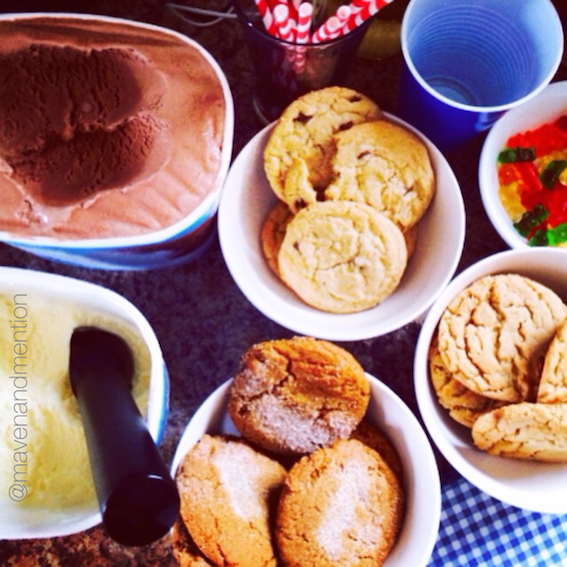 The self-serve ice cream sundae bar: two flavours of ice cream, assorted cookies from the farmers' market and a bowlful of gummy bears. A simple concept, but it hit a home run with the grownups and kiddos alike. What was the winning ingredient, you ask? Choice. It got me thinking about self-serve choice content to fuel the digital customer journey. Most B2B and B2C customers today are incredibly digital savvy. They do their homework early on in their quest for a product or service - oftentimes before they (even realize they) have an immediate need to purchase. And oftentimes from their mobile device – anytime, anywhere. The brands that set themselves apart from the pack are the ones that attract their customers and prospects early on – serving up choice content at the ready, being genuinely helpful, engaging in conversation and building a sense of trust and community. So when an immediate need arises for a particular product or service solution, who do you think will be top of mind among this pool of customers? You got it – the brands that have been there every step of the way, anticipating FAQs, establishing subject-matter expertise and opening up the dialogue. Looking for some fresh content ideas to inspire your customers? Let's chat.